You are here: Home / SEO / Article Writing / Does Guest Blogging Help With SEO Rankings? Does Guest Blogging Help With SEO Rankings? I know, I know— controversial topic after Matt Cutt’s blog post shunning guest blogging for SEO in 2014. Even more controversial after the mass penalty on MyBlogGuest.com and the “all nofollow” reaction from eConsultancy that followed. Guest blogging really seems like a gray area to find your marketing and link building efforts in right now. The answer is neither yes or no, but actually slightly more complicated. I got two writers to share their ideas for this post. Their insight makes it clear that things have changed, but not so much to the smart (and honest) business. Read on and take away. Previously, there was some SEO benefit with guest blogging because of the “dofollow” links. Of course, there is no such thing as a dofollow link. What it really is is the absence of the “nofollow” rel tag connected to the link. This told Google to follow the link (dofollow) and that provided SEO benefit. What happened is that some people were putting up very inferior “crap” articles and the search results (SERPs) were reflecting poor quality content. Therefore, Google singlehandedly put a stop to that benefit, to stop people from putting up poor quality articles only for the purpose of the SEO benefit. That move hurt the rest of us who didn’t mind the SEO benefit but were guest blogging for the other benefits. What I just described is the direct benefit. The indirect benefits of guest blogging still exist. Those include branding, exposure, building the writing portfolio, networking, etc. Also, there are some sites that do not use the nofollow tag (in other words, dofollow), but those are becoming fewer and fewer. What happened back in March of 2014, to MyBlogGuest’s clients (basically all of them) resulted in everyone changing their links, site-wide, to nofollow. Those who did not remained under penalty from Google. That caused other sites to also change their links to nofollow so that they would not be penalized by Google. It was a brilliant move by Google, to inflict fear across the globe, for publishers and writers on the Internet. In one fell swoop they were able to make a statement about the type of content they want to show in their search engine. We, as consumers of Google products, are to blame, as well, because we gave them the power to be the top dog for search. And, what can I say. I love their calendar and I am the “hangout queen” using the Google hangout product. There are still indirect SEO benefits to guest blogging (i.e. a viral article that happens to do well in the search rankings), but it is not the SEO benefit that it used to be a couple of years ago. If you are a writer, your best bet is to write for other reasons and then count the SEO benefits as icing on the cake. If you are a publisher, your best bet is to nofollow the links that are contained in the guest articles that you receive. It follows that guest blogging as a way to build links and help with SEO is no longer a viable strategy, even though guest blogging always helped and still helps with your branding efforts and it definitely helps to pull links from the Web in indirect ways, like Deborah suggests, which the next paragraph is all about. Anything that spreads your name is good for SEO. Every time you put your name out there, there is a greater chance that people will look for your website, find something they really like and link to it or share it on social media, and that’s good for SEO. If there is a hyperlink, even a NoFollow one, that serves the same purpose. If the link is DoFollow, even better. The value of guest blogging for SEO depends greatly on the quality of the content on your website. If lots of people read your amazing guest post, then rush to see what’s on your website, only to ding boring stuff, forget earning links and social shares from them. When you get nofollow links to your blog posts and articles, users will still find them and link back to them as helpful resources in their posts (editorially) if they deem your content trustworthy and authoritative. That is what I do here at Bosmol as a writer anytime I stumble upon an amazing resource that fits into a post I’m writing— I go ahead and link it, whether that link was originally nofollowed or not. Continue to guest blog and let users find you, if not search engines. In the end, like the say “all chickens come home to roost”, you will still get backlinks that are beneficial for your SEO efforts. 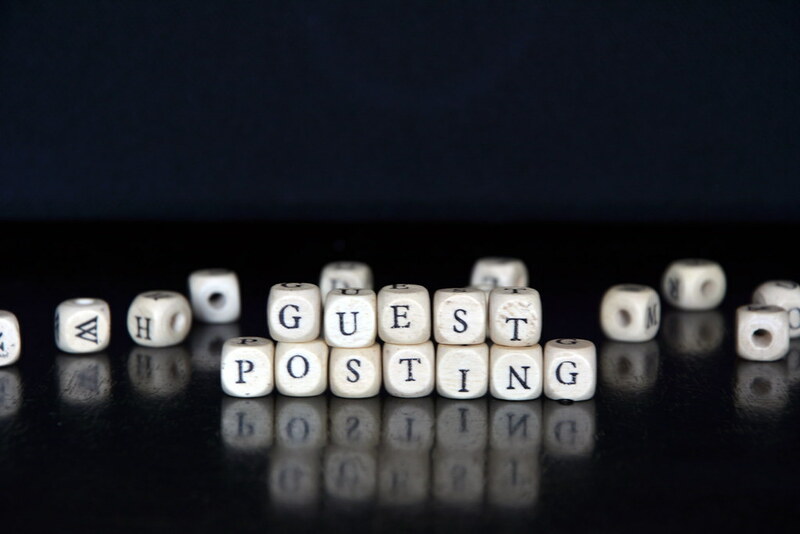 Do YOU guest blog? Has your opinion of guest blogging changed over time or are you still a fan? Do Nofollow Backlinks Help SEO Rankings?